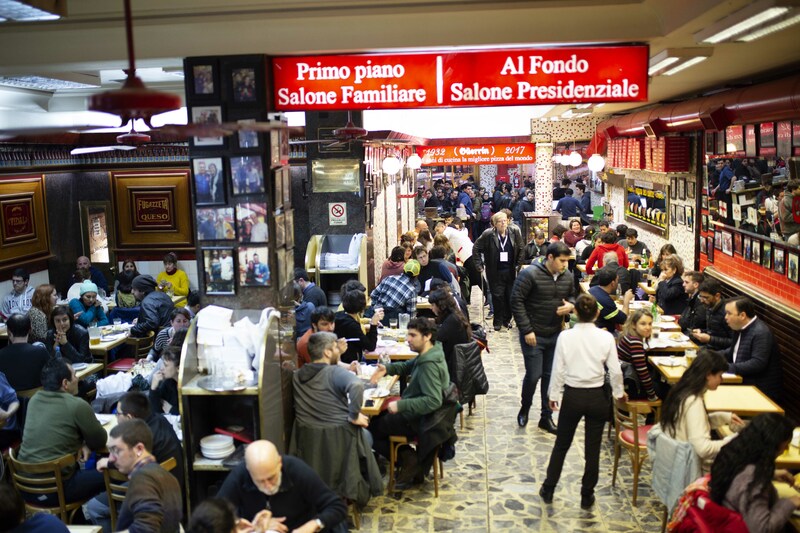 With almost half of the Argentine population being Italian descendants, you would assume that there is some thin crust, stone baked pizza culture going on. But no, the argentine pizza found on every street corner around town, is nothing like the Italian. Argentine pizza is a fat slice of soft crust with the biggest amount of cheese you have ever seen in your life. It is impossible to not get hocked. There is little sauce, more cheese, and if you like, a fainá, a dense cake of chickpea placed on top of the slice. 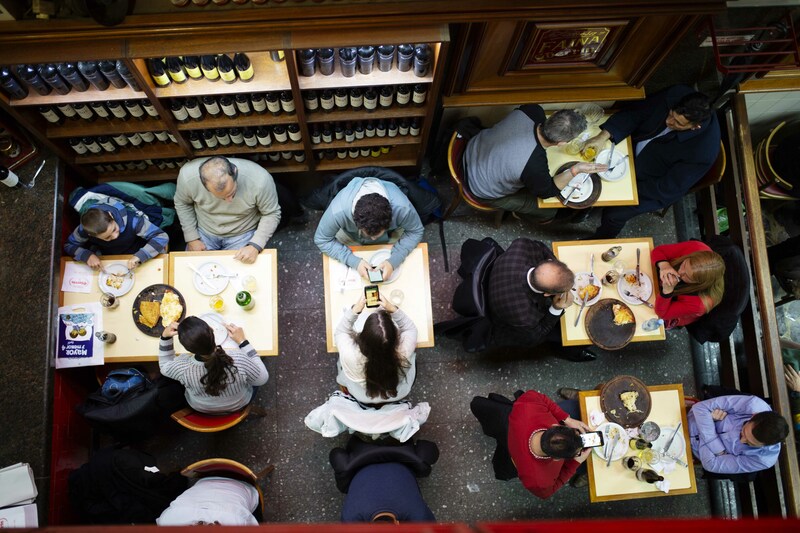 To accompany the pizza, locals order a cold liter (jarra grande) of the national beer Quilmes or the sweet, white dessert wine moscato. 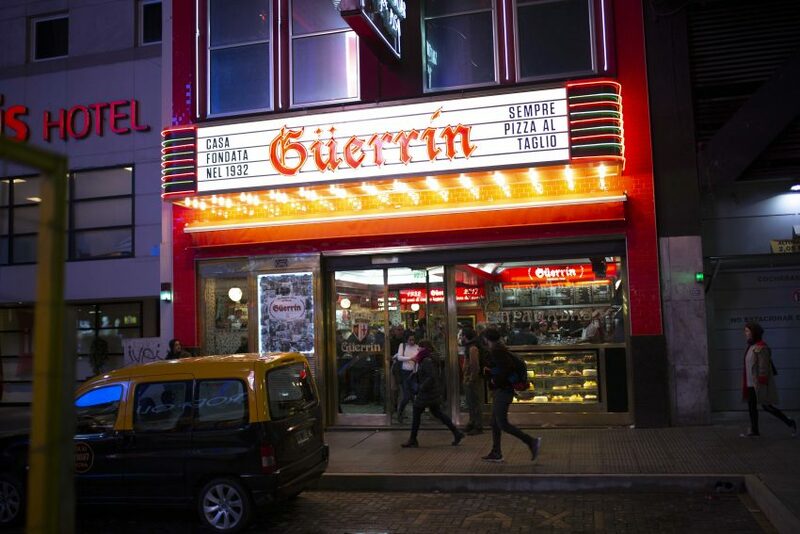 In the jungle of different, traditional pizzerías, there is the restaurant Güerrin. Located in the “broadway” avenue of Corrientes with theaters and cinemas, many argentine will argue that Güerrin offers the best pizza in town. Since 1932 the kitchen has served “napo” (tomatoes, garlic, green olives, dried oregano and cheese, “muza” (lots of mozzarella), “jamon y morrones” (deli ham, roasted red pepper and cheese) and “fugazzeta” (cheese with onions and more cheese) among others. This place get full every night, so unless you eat early before 9 o’clock, you might have to wait some minutes. According to ámbito.com, there are sold around 1500 pizzas in Güerrin every day! You can also choose to eat you pizza standing if you dont have too much time before hurrying on to one of the theaters nearby. 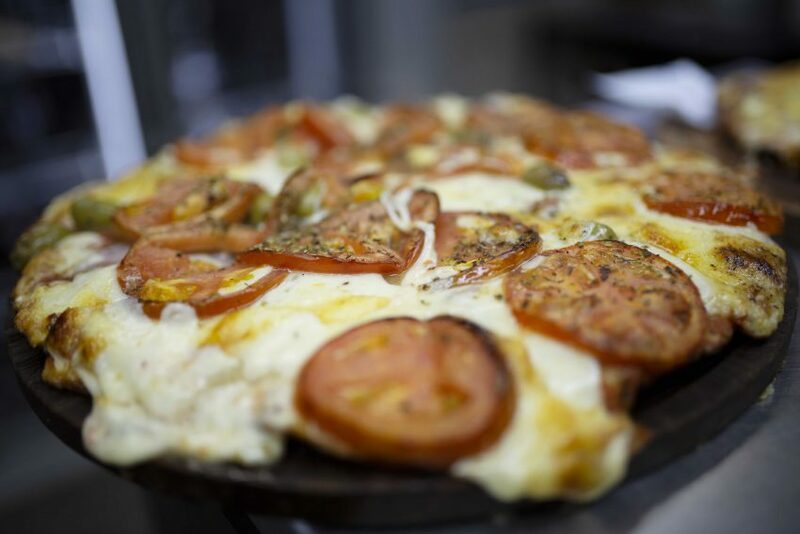 It is estimated to be around 1200 pizzerías are selling 14 million pizzas every year in Buenos Aires. 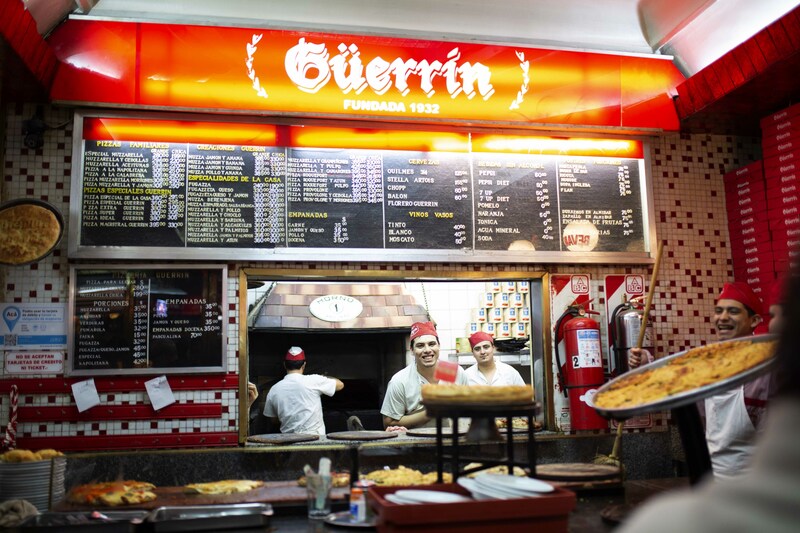 The pizza does not get more porteño than in Güerrin.